The highly experienced and motivated Family Law and Personal Injury lawyers at David G. Volman, Attorney at Law, L.L.C. serve the city of Shelton as well as all of New Haven County and the state of Connecticut! Attorney David G. Volman handles all types of Family Law, Criminal Defense, Bankruptcy and Personal Injury Issues. If you have a legal matter that you need assistance with, contact our experienced New Haven County, Connecticut Attorney. We can help you and your family! For many people, the first time they need a lawyer is due to an event that has turned their lives upside down; a serious accident, a divorce or any problem with legal ramifications. When these incidents occur, you want an experienced attorney who will take the time to understand your situation and develop a strategy to resolve the matter as efficiently and cost-effectively as possible. At Volman Law, we use our finely honed negotiation skills, thorough knowledge of the law and the ability to aggressively protect our clients’ rights in court to produce successful outcomes. Getting hurt or having a loved one injured or killed by someone’s negligence is traumatic. You may be unsure where to turn or what to do. You may never have used a lawyer before. You may wonder if you even need a lawyer, and if so, how to choose the right one for you. You want information and guidance on what you can do to protect yourself and your family. If so, you have come to the right place. At Volman Law we represent individuals and families in all types of personal injury and wrongful death cases throughout Connecticut. We thrive on protecting your rights, helping you understand your options, recover and move on with your life. We help enforce your right to compensation to pay for past treatment as well as future medical care and rehabilitation so you can return to a normal life. We also work to prevent the same thing from happening to others. Waterbury (nicknamed “The Brass City”) is a city in the U.S. state of Connecticut on the Naugatuck River, 33 miles (45 minutes) southwest of Hartford and 77 miles (90 minutes) northeast of New York City. Waterbury is located in New Haven County, Connecticut. Throughout the first half of the 20th century Waterbury had large industrial interests and was the leading center in the United States for the manufacture of brassware (including castings and finishing), as reflected in the nickname the “Brass City” and the city’s motto Quid Aere Perennius? (“What Is More Lasting Than Brass?”). It was noted for the manufacture of watches and clocks. The city is located along Interstate 84 (Yankee Expressway) and Route 8 and has a Metro-North railroad station with connections to Grand Central Terminal. 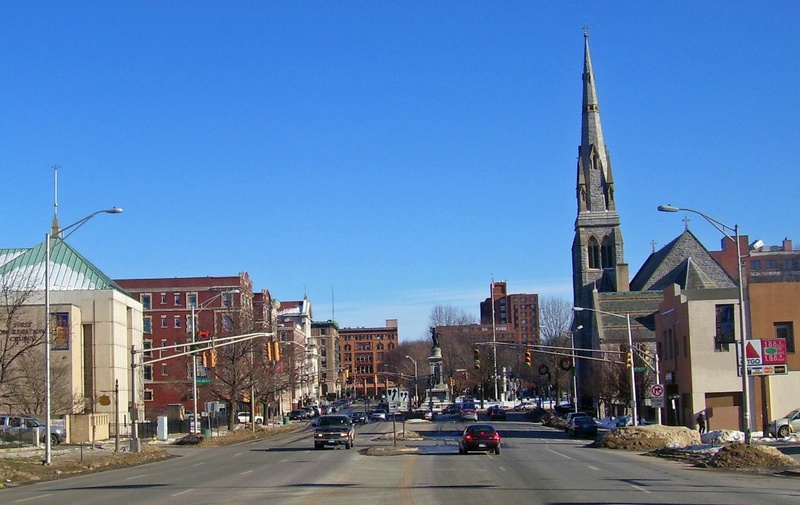 Waterbury is also home to Post University and the regional campuses of the University of Connecticut, University of Bridgeport, Western Connecticut State University as well as Naugatuck Valley Community College. Waterbury’s neighborhoods are shaped by the history and geography of the city. Ethnic communities distinguish the city’s 25 neighborhoods. Clusters of shops at the street corners created villages within the city.